"Effervescent! Seidelman's feel for setting and character is truly spectacular." "Susan Seidelman still knows how to capture the chaotic magic of New York." "A terrific film full of life, heart, music and fantastic dancing. A movie that just makes you feel good. See it!" A unique blend of dance, drama, and romance, MUSICAL CHAIRS stars newcomers Leah Pipes and E.J. Bonilla as a pair of unlikely lovers in contemporary New York who must face a number of challenges, both separately and together, before finding one another--and themselves. 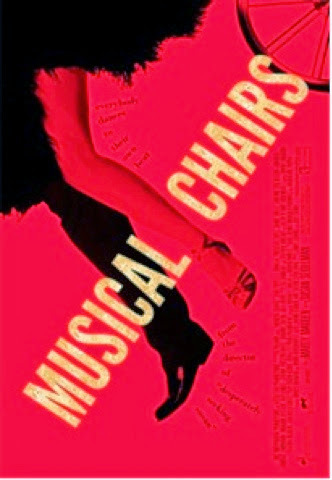 Also starring Tony-winner Priscilla Lopez, Jaime Tirelli, Laverne Cox, Morgan Spector, Auti Angel, Jerome Preston Bates, Nelson R. Landrieu, and Angelic Zambrana, MUSICAL CHAIRS was produced by Janet Carrus and Joey Dedio.